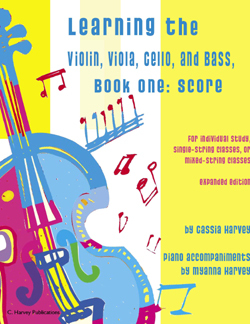 This is the score and piano accompaniment to Playing the Violin, Book One, Playing the Viola, Book One, Playing the Cello, Book One, and Playing the Bass, Book One. 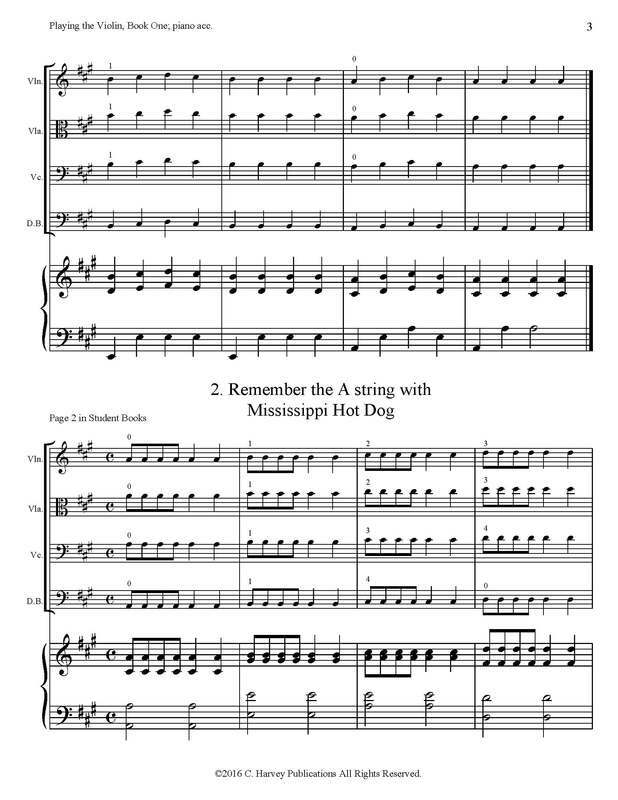 Written to follow Learning the Instruments, Book One, these books combine catchy, enjoyable songs with easy exercises to help the beginning string student play as much as possible. With exercises for agility and finger patterns, the books help train students in essential technique, while at the same time introducing students to fiddle tunes, classical pieces, and folk melodies. The aim of Playing the Instruments, Book One is to help students with reading and playing skills, developing fluency that can help them in playing orchestra or solo music. With their emphasis on playable, fun tunes, these are great supplements to other methods or studies! These books can be studied in private lessons, in single-string classes, or in mixed-string classes. 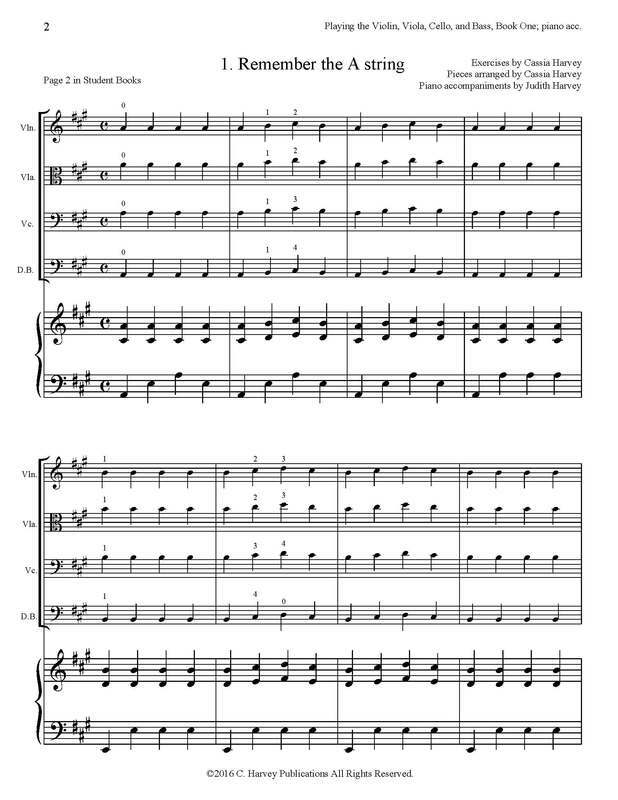 This score contains piano accompaniments for all of the exercises and pieces.